Since the first day she opened the doors to her new business, CEO of MYO Cosmetic Cases Suzanne Carter knew she wanted to be an entrepreneur that positively affected people and the planet. When the time came to release a first-of-it s-kind magnetic cosmetic case that easily allows customers to store and use eco-conscious makeup pans, Suzanne was ready to fully embrace the process of being an impactful business. Currently on the road to becoming a Certificated B Corporation, MYO Cosmetic Cases is committed to being a socially and environmentally conscious business. Suzanne is part of the inaugural cohort of the Vancouver Economic Commission’s Impact 6 Pack – a course that helps prepares businesses for B Corp Certification by creating a comprehensive impact strategy. 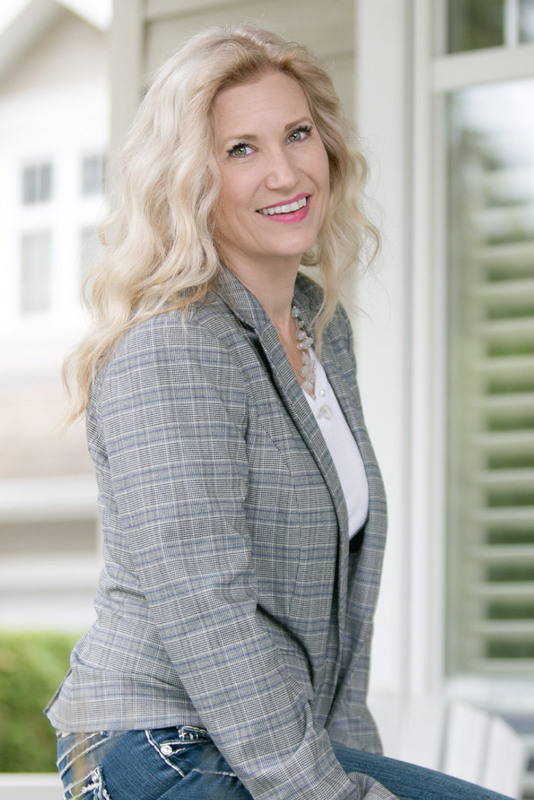 We recently caught up with MYO Cosmetic Cases CEO Suzanne Carter to learn more about her exciting Vancouver startup and to get her thoughts on being a small cosmetics company with big social and environmental goals. VEC: Hello Suzanne, thanks for taking the time to chat with us today. Give us your best elevator pitch: What is MYO Cosmetic Cases and what problem does it solve? Suzanne: MYO (Makeup Your Own) Cosmetic Cases is a social conscious beauty company that has innovated a first-of-its-kind cosmetic case with the ability to stow makeup essentials in a magnetic case the size of a large cell phone. This disruptive product condenses overflowing makeup drawers and bags and reduces excessive makeup packaging while increasing organization and efficiency with makeup application in an on-the-go solution. Currently, our main market is professional makeup artists (MUAs). VEC: What were you doing before you started this business? Suzanne: With 20 years of experience in business development and corporate training, I was a sought-after consultant. Companies relied on my expertise to help them increase productivity and save time, money and resources. Without a doubt, my specialty was efficiency. VEC: So, what made you make the switch to running a cosmetics company? Suzanne: When it came to my daily beauty routine, I found myself constantly frustrated by my overflowing makeup drawer and bulky makeup bag. I started asking friends and women I knew about their makeup routine and learned quickly that many of them had experienced the same challenges I did. So I did some research and discovered that even with so many innovative beauty products on the market, not a single cosmetic case existed that met the needs of today’s modern superwomen who carry their makeup bags everywhere. Imagine my surprise! In my research, I also found opportunities to improve the efficiency of professional makeup artists. After this realization, I focused my attention on finding the perfect solution — and not too long after, the MYO Cosmetic Case was born. VEC: MYO Cosmetic Cases are often used in Vancouver’s booming film industry. Why do you think there’s been such a significant uptake from local artists in the film industry? Suzanne: MYO Cosmetic Cases collaborated with Vancouver’s local makeup artist community to design our MYO Pro Kit, and there has been great support because of their input. 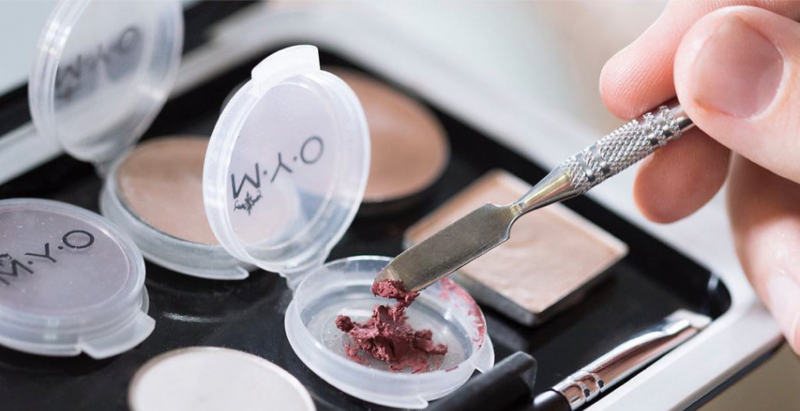 One reason I believe that that this market has been so lucrative is because actors and clients like to work with MUAs who openly use sterilized containers and, for hygiene, use single-use products applications or create a kit specifically for them. With 338 productions filmed in B.C. in 2017 alone, it seems like such a large industry, yet so many of the makeup artists know each other. Word of mouth locally has been amazing. VEC: You’ve also had a significant pickup in Hollywood. Suzanne: Yes, we have been having an incredible first year (we officially launched in January 2018). Our cases have been in the OSCAR and GRAMMY swag bags and we’ve even been invited to co-sponsor the annual Emmy Awards Celebration, which celebrates all makeup and hairstyle nominees. It was a magical evening meeting Hollywood’s top talent and we had the opportunity to meet Emmy Award makeup and hairstyle artist nominees from Westworld, Vikings, Saturday Night Live, RuPaul’s Drag Race, American Horror Story and The Handmaid’s Tale. Along with selling our cases in Vancouver at Studio F/X and Coast Fiber-Tek, we’re thrilled to have our M.Y.O. Cosmetic Cases available at retail store in Los Angeles at Frends Beauty and Nigel Beauty Emporium. VEC: With all this success, you’re still as committed as ever to running an impact business. What prompted you to enroll in the Vancouver Economic Commission’s Impact 6 Pack? Suzanne: As a parent of two teenage girls, I think about their future and the world we are currently creating to leave them. 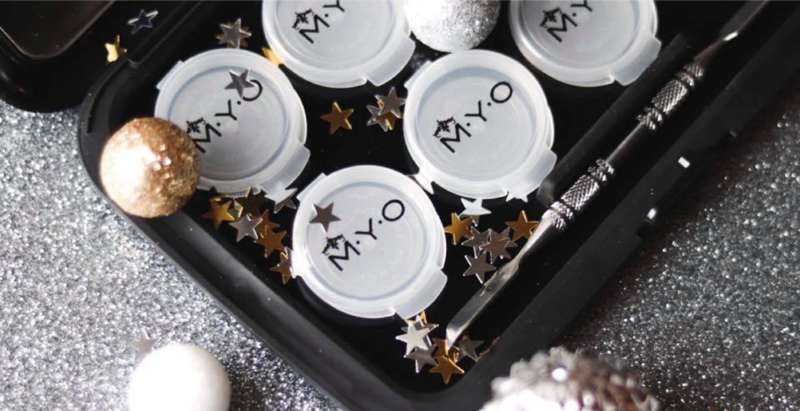 My first decision in deciding to start MYO Cosmetic Cases was that it had to be a social conscious company. There was no other option. VEC: What was your biggest takeaway from the program? Suzanne: My biggest takeaways from the program – it’s too difficult to choose just one! – are a stronger commitment to our eco-conscious focus, a more defined decision-making process and the creation of policies that affect people and our planet in a positive manner. I left with a sense of community amongst other like-minded people and businesses, and an appreciation of the sharing of ideas to continuously make incremental improvements. VEC: How exactly is MYO Cosmetic Cases eco-friendly? Suzanne: Our case was designed to last – to be used and reused – to encourage the purchase of ‘refill’ products to put in our cases. Mindful of our consumers’ health, we source food and medical grade materials, which are also recyclable. Mindful of our carbon footprint and consistently working towards being carbon positive, we work with local and co-sharing companies. Our product is made in Canada, 15 minutes from our head office; we source our materials 90% in North America; we use an electric car for transportation; and we purchase an acre of Splendor Empress trees each year, offsetting over 103 tons of carbon. VEC: Why is being eco-conscious such an important pillar of your business? Suzanne: From the beginning I wanted to be as eco-conscious as possible when creating this company. I think about the world my daughters will are grow up in and there is already so much packaging in it! Cosmetics is one of the highest contributing factors to landfills. Because of this, I knew that MYO Cosmetic Cases had to have an environmental focus. VEC: You’ve also adopted a Circular Business Model. Tell us about that. Suzanne: Once our case reaches the end of its lifespan, we reuse the material through our Take Back Program, offering the customer a discount on their new case, and reusing the material to make new MYO Cosmetic Cases. Working with our manufacturer, its components are cleaned, heated and remolded. Any parts of the case that do not meet the ‘mold again’ criteria, will be responsibly recycled. VEC: In your experience, is the makeup industry becoming more eco-conscious? Suzanne: Yes – slowly. For instance, in July 2017 I exhibited and introduced my case at Cosmoprof North America in Las Vegas, the largest business-to-business trade show in the Americas, where they launched a new Beauty ID Awards program to recognize creativity in packaging design, material, and product. The Awards categories included Sustainable Package Innovation and the packaging winner was eco-friendly sugarcane tubes. You have to check these out, they are amazing! So, yes, change is happening. Where change is happening the most, is through indie brands. There are a large number of indie brands that are not only introducing natural and organic products but are also becoming mindful of their packaging, using less wasteful and eco-materials, and adopting eco-conscious business practices. VEC: You’re currently in the process of becoming a Certified B Corporation. You mentioned that one of your biggest takeaways from this process is the nudge to make constant improvements on the impact of your businesses. Suzanne: Yes, our biggest goal is to become B Corp Certified; we have applied and are currently in the review process. This is a philosophy of B Corp that has become an adopted philosophy of mine, that through our businesses we continuously make incremental social and environmental improvements. It just makes sense if you’re committing to be a triple bottom line company. For example, the packaging we currently use for shipping is made of 20% recycled film with 10% post-consumer content. As our company grows and we can afford to choose better eco-friendly options, we will. I love the fact that B Corp supports B Corp Certified companies doing their best right now, knowing we are always looking to improve. VEC: What would you say is the biggest challenge you’re currently facing as an entrepreneur in Vancouver? Suzanne: Stepping into a whole new world, the world of makeup and beauty – however, I’m finding similarities. And, PR on a grander scale than I’ve ever been a part of. VEC: Let’s talk a bit about mentorship and your two amazing mentors you’ve found through the Forum of Women Entrepreneurs. How important have these mentors been in your entrepreneurial journey? Suzanne: Honestly, I feel like I won the lottery. Being new to the beauty industry, Shaina Azad, Founder of SUVA Beauty, has been my window into the world of all things beauty, makeup and makeup artists. After an hour with Shaina, I know what I have to do and I have a clear plan. Her presence in my life has saved me months and maybe years of trial and error. Rebecca Rochon, founder of Pivot and Pilot PR Firm, is my sounding board for all things PR. She gives me perspective, funnels my options and assists me to see the best and most efficient path forward. These two incredible ladies inspire and motivate me. They support me and see success in my future which allows me to see it too. VEC: So, what’s next for MYO Cosmetic Cases? Suzanne: Our main focus for 2019 will be on our MYO Cosmetic Case Pro Kit case for makeup artists. We will be attending makeup artist trade shows and looking to collaborate with makeup artist bloggers and influencers to help us reach more of this market. We’ll also be working to export our product and having it available through international makeup retail outlets. We have a busy year ahead, and we’re so excited for 2019! Wrap up: We’re so excited for you too, Suzanne. 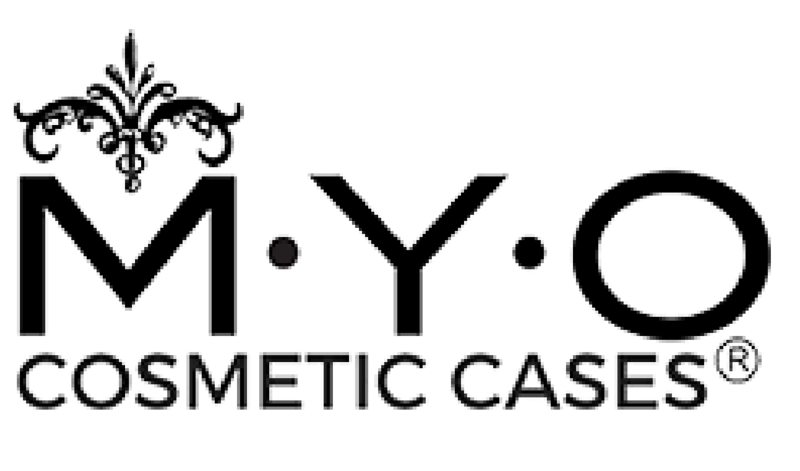 Thank you for taking the time to share some really exciting news and accomplishments from MYO Cosmetic Cases. We’re looking forward to continuing to follow your journey! 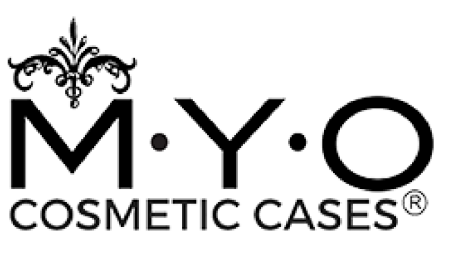 For more information about MYO Cosmetic Cases, visit their website. Connect with MYO Cosmetic Cases on Facebook. Thanks to Suzanne Carter (CEO & Founder, MYO Cosmetic Cases) for contributing to this post. Photos courtesy of MYO Cosmetic Cases.